Approaching forty, Nigel Marsh's life seems almost perfect: he has moved with his family from the UK to Sydney and runs the Australian office of a leading advertising agency. However, he is also stressed, overweight and struggling to balance a career, a marriage and the demands of four small children. But everything changes when he loses his job. After the initial shock of redundancy, Marsh decides to embrace life outside the office and reconnect with his family. Fat, Forty and Fired is the hilarious, insightful and deeply moving account of his 'gap year' at home, as he rediscovers fatherhood, loses twenty kilograms, kicks his drinking habit, trains for an ocean swim race and generally gets his house in order. 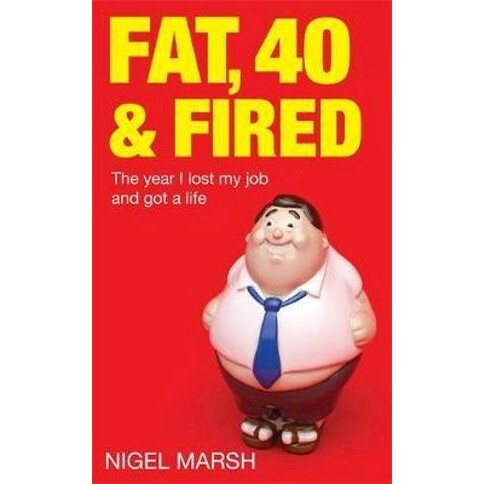 Fat, Forty and Firedis a story for anyone who has dreamed about leaving the rat race behind and living a more meaningful life. Nigel Marsh was born in Plymouth. Five years later he was sent to boarding school. He has spent the 35 years since thinking of ways of gaining attention and affirmation of his parents. The CEO of communications group Leo Burnett Australia, he lives in Bronte with his wife and four children.